At times life can feel like a series of assaults. Those are the times the soul must be evoked because only it can answer our questions: What’s really going on? Is life just a series of onslaughts and responses? What does my life mean? Sunrise over the Atlantic Ocean, just one block away from the Ocean Plaza hotel, site of the Writing the Inner Life workshop. To be precise, our adult selves are what’s being assaulted—our responsible, duty-laden selves that don’t have time, or perhaps energy, to stop the ancestral scripts in our minds or tend to the unnamed longings in our hearts. Keeping a spiritual journal, a time-honored American tradition, is an effective method for writing our way through the confusion and into peace and meaning. In the spirit of my latest book, Self and Soul: On Creating a Meaningful Life, which began as a journal, we will use many writing prompts to understand our three selves: the child self, which was forced to adapt to circumstances; the adult self, which oftentimes still lives with those early adaptations; and the sacred self, which liberates both. Keeping a spiritual journal is as low tech as it gets in a fast-paced, high-tech world. A journal is a perfect place to purge pain; tell the truth; collect what resonates with you; allow your past, present, and future to meet; and develop a self-awareness larger than any problem or obstacle that plagues you. Our discussions will be infused with the thoughts and writings of a wide range of thinkers, spiritual teachers, novelists, memoirists, and journal-keepers. 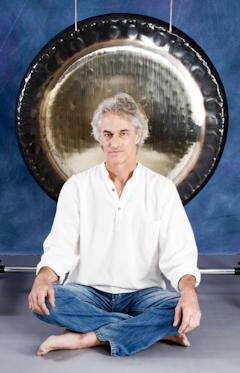 Marco Dolce will perform an Earth Gong Bath. Handcrafted journals will be made by multi-media artist Cathren Kull. Saturday night, we will explore words that emerge from wordlessness with an Earth Gong Bath performed live by Marco Dolce, aka XUMANTRA, best-selling recording artist, sound healer, and teacher. Marco, who lives in North Jersey, is internationally acclaimed for his work with authentic Tibetan singing bowls and gongs. Our journals for the retreat will be handcrafted by multi-media artist and illustrator Cathren Kull, a graduate of the Maryland Institute College of Art in Baltimore. Cathren lives and works in Central Jersey. This year’s “Writing by the Sea” retreat takes place in historic Ocean Grove. 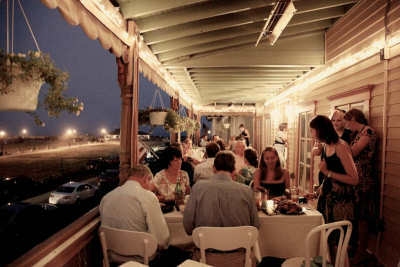 Known as “The Jewel of the Jersey Shore,” the town is at the northern tip of New Jersey’s seaside communities. 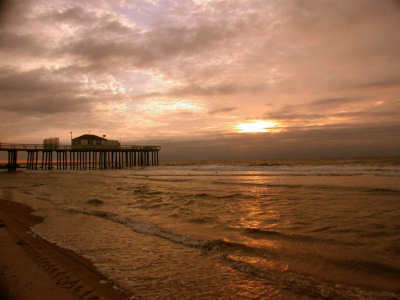 Founded in 1869 as a Victorian-era camp meeting site, Ocean Grove is one square mile of natural beauty, including great beaches, a serene boardwalk, and tree-lined streets. It features the highest concentration of authentic Victorian architecture in the country, including the legendary Great Auditorium, home to many top-rated shows and events. 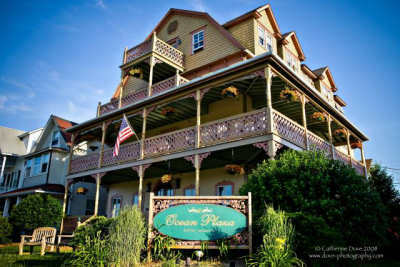 We writers will live and study at The Ocean View Inn, a bed-and-breakfast located on the historic Ocean Pathway just one block from the beach. Additional rooms will be available at The Ocean Plaza, the sister inn to The Ocean View and located right across the street. We will eat our Continental breakfasts and our dinners on the second-floor wraparound porch of The Ocean Plaza where we can enjoy a panoramic ocean view. (Gluten- and dairy-free diets can be accommodated.) The writers will be on their own for lunches so they can explore the town. It’s a very short walk from the inns to the unique shops and casual and fine dining restaurants in the town’s quaint shopping district. Completely restored in the 1990s, the century-old inns blend Victorian charm and modern conveniences, including central air conditioning and heat, private baths, cable TV, full Internet access, warm and inviting parlors, and first-floor wraparound porches with ocean views. During down time, writers can walk the beach or boardwalk and listen to the waves and seagulls, enjoy a relaxing reflexology or champissage session with Elle Levenson at The Ocean View, write, or nap. Coffee, tea, and snacks are available throughout the day, and a small refrigerator can be put in any room upon request. The complete course fee gets it all: tuition, amazing gong performance, handcrafted journal, packet of workshop materials, single room with private bath for two nights, two dinners, and two breakfasts. Dining on the porch at the Ocean Plaza hotel. Interested in the Ocean View Suite? You can have it all to yourself for an additional $140 charge for the whole weekend. Or you can share the space with a friend and each of you would pay an additional $70. Elle Levenson will offer reflexology and champissage. Since creativity flows best when we’re relaxed, the popular and nurturing Elle Levenson, an excellent bodyworker, once again will join us and offer sessions of reflexology and champissage (supremely relaxing Indian head, neck, and shoulder massage). A reflexology session costs $80; a champissage session costs $70. She is offering a retreat rate of $120 to those who would like both. to say you intend to come. That’s it! Sign-up starts now. First come, first served. After all spots fill, a wait list will begin. Payment made, excluding deposit, will be refunded in full if you cancel on or before September 19, 2013. If you cancel between September 20 and October 2, payment, excluding deposit, will be refunded at 50%. No refund or credit is available if you cancel on or after October 3, on the workshop’s arrival day, if you do not show up, if you do not notify us of cancellation, or if you leave an event early for any reason. In the unlikely event we cancel the workshop due to unforeseen circumstances, we will refund your payment in full. 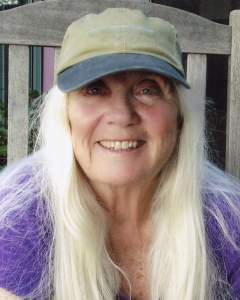 Journalist, author, and teacher Lorraine Ash. 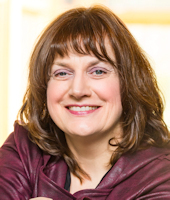 Lorraine Ash, MA, is the author of Life Touches Life: A Mother’s Story of Stillbirth and Healing (NewSage Press, 2004/2007/2011), a memoir that has reached mothers throughout the U.S. and Canada as well as in Mexico, the Middle East, Australia, Europe, and China. Her second book, Self and Soul: On Creating a Meaningful Life, was published in December 2012 by Cape House Books. 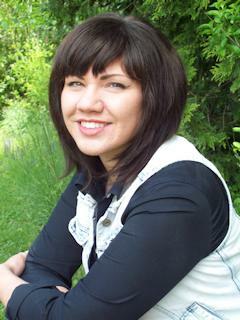 She has taught workshops on memoir and writing to heal at conferences and other venues nationwide. 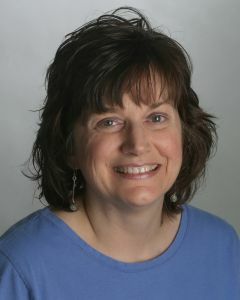 Lorraine also is a published playwright and essayist and, for thirty-one years, an award-winning journalist and newspaper columnist. In 2012 she won New Jersey Press Association awards for her Enterprise Writing and Medical Writing portfolios. For a schedule of Lorraine’s upcoming retreats and workshops, visit the Events and Appearances page. For descriptions of the different workshops Lorraine offers, visit the aptly named Lorraine’s Workshops page. For any questions not answered on the website, contact Lorraine.